Lately, I’ve been pretending it’s 50 degrees in South Florida when it’s really closer to 90 degrees with 100 percent humidity. I wake up in the morning, look at my closest, and instinctually grab a cute sweater before realizing how hot it still is. But I can’t help it! I’ve fallen in love with fall. And have been obsessed with chunky sweaters, leather jackets and miniskirts, blazers, turtlenecks, plaid, the works. 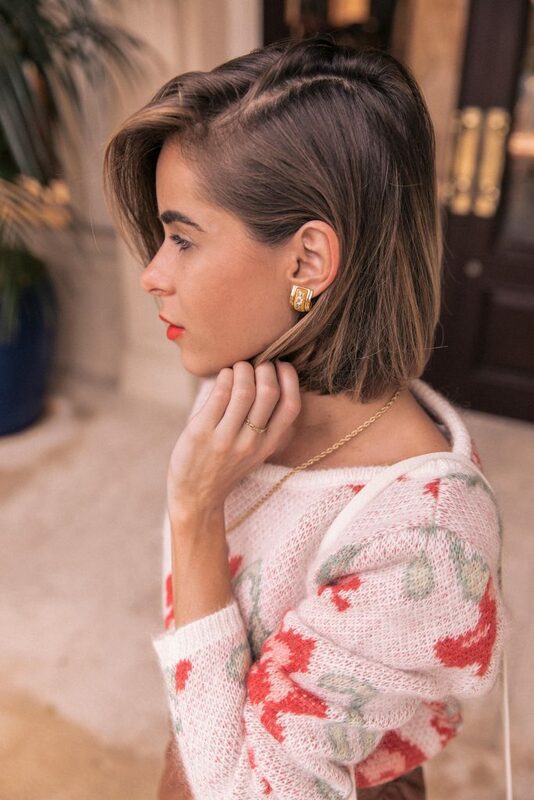 So today I’m wearing the prettiest floral sweater from Sezane, one of my favorite french brands. It’s oh so comfy and cozy. Anyways, since my skirt is no longer available, I found similar options a la Shopbop here. And last but not least, my earrings. The past couple of months, I’ve been renting designer costume jewelry (primarily for blog shoots and special nights out) from this great little company called Switch. Go ahead, check them out. They have hundreds and hundreds of pieces to choose from. I signed up for the Black plan that allows me to have 3 pieces per month. And since I’m such an earring girl, I usually go with Chanel, Saint Laurant and Hermes pieces. All I have to do when I’m done is send it back in a pre-paid package. It’s seriously the easiest service to use! I’ve been in touch with the team at Switch who have graciously given me a promo code for you guys! Use code: STYLEBUNGALOW to take 50% off your first month! As always, leave your comments on today’s look! I’ll definitely have to try that service!! How cool & a good way to try out some classic pieces! 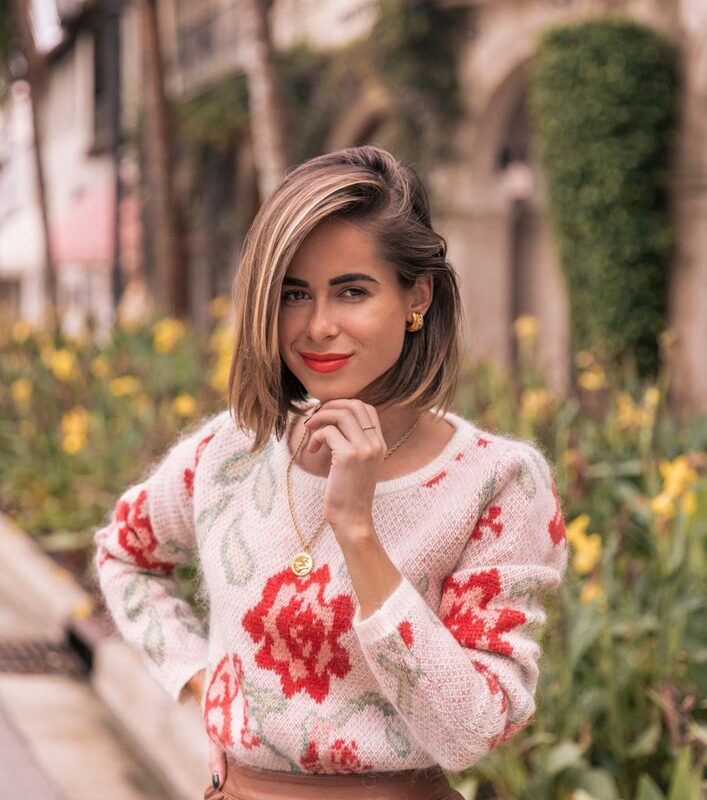 I loooove the floral sweater from Suzanne! I give you so much props wearing sweater in the heat! You make it looks so effortless! 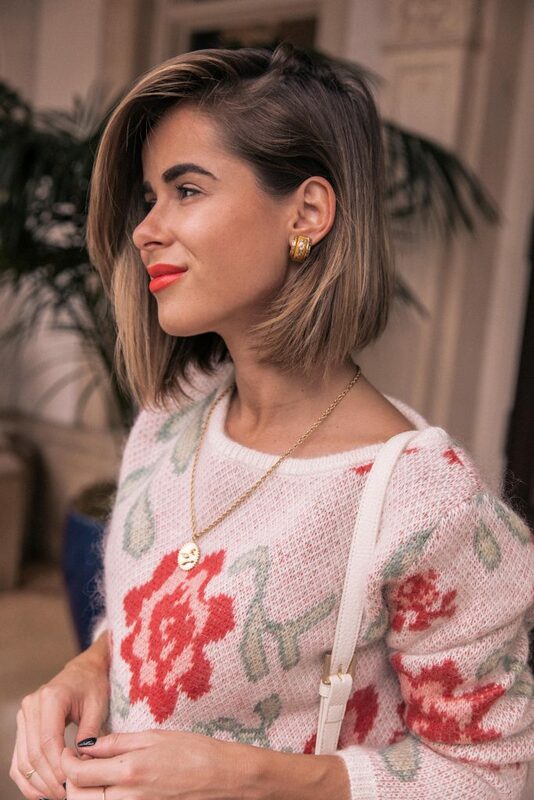 Although that sweater is super cute! Your sweater is sweet but your heels are killer onessssss! NEEEED! This is the cutest look ever! I am obsessed with the sweater. I know I’ve said this before, but I adore your haircut/style! OMG! I had no idea there was a subscription like this! Thank you so much for the code! I will definitely try this out. Wow! Are those Hermes clip ons comfortable? Do they fall off the ear?